There are a lot of great series out there at the moment and that means a lot of material for our Series Talks. Today we are talking about a British show, that quickly gained a high position in my personal list of favorites. It's an epic gangster story set in Birmingham (UK) in the aftermath of World War I. 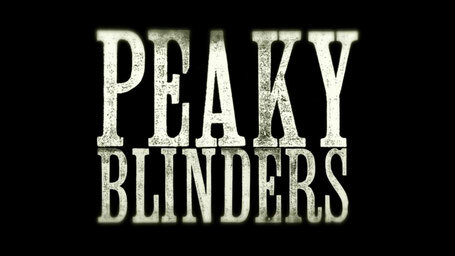 Today we are talking about: "Peaky Blinders". 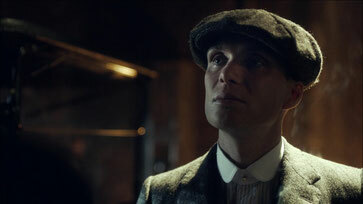 "Peaky Blinders" revolves around the Shelby family and their gang The Peaky Blinders (the name is derived from the fact that they have razor blades sown into the peaks of their caps). Like I said the story is set in Small Heath, Birmingham in the years after The Great War. Three of the Shelby brothers fought in this gruesome war; Thomas (Cillian Murphy), Arthur (Paul Anderson) and John (Joe Cole). 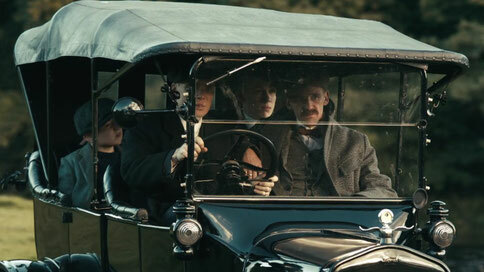 Furthermore there are sister Ada (Sophie Rundle), younger brother Finn (Season 1: Alfie Evans Meese; Later Seasons: Harry Kirton) and their aunt Polly (Helen McCrory). The family makes money through illegal betting practices and trading on the black market, by making use of the extended canal system in England's Midlands. Thomas (Tommy) Shelby is the leader of the family. He is ambitious, hard headed and set on turning the family's betting business a legal practice. He wants to do this by taking over the empire of Billy Kimber, who runs most of the legal tracks outside of London. He received several Medals of Honour for his actions in the war, but it came with a prize. After the war Tommy, like many others, started to suffer from post-traumatic stress disorder. Arthur Shelby is the eldest of the siblings. He seems to have some issues with Tommy's leadership. He feels he should be the head of the family being the older brother. Arthur, however, is more muscle than brains. Through a series of unfortunate events, Arthur becomes depressed and the traumas of the war start to weigh on him more and more. This causes him to become very agressive. John is the third brother to serve in the war. He seems to be the least affected by the War. He is proud to be a Peaky Blinder and everything it stands for. He hates cops and will do anything to make them leave his family alone. Ada is the only female sibling and she wants to keep as far from the family's business as possible. She is in a secret relationship with Freddie Thorne, who is Tommy's former best friend and a known Communist. He is very rebellious and rallying the arms factory workers to strike. Like I already said, Freddie is Tommy's former best friend and he saved his life during the war. Their relationship, however has cooled down a lot and if the brothers find out about the relationship between him and Ada, they will most likely hurt or kill him. The youngest of the Shelby siblings is Finn. Although he was too young to be recruited to fight in the war, he is part of the Peaky Blinders. And seems to be learning the ropes at a very young age. And then there is Aunt Polly. She is the matriarch of the family and The Peaky Blinders. She managed the Shelby business, while the men were out fighting in the War. She has been married and had two children, Michael and Anna. The children were taken from her, when they were very young and given up for adoption. She is the heart of the family and often serves as an advisor for Tommy. Well the acting in this BBC 2 series is just brilliant. I will just point out some of my favorite actors/characters from the show. Thomas Shelby is portrayed by Irish born actor Cillian Murphy and he does one hell of a job. You may know him from his roles in some of Christopher Nolan's biggest blockbusters: "Inception" (as Robert Fischer), "The Dark Knight"-trilogy (as Dr. Jonathan Crane/Scarecrow) and "Dunkirk" (as The Shivering Soldier). But he also played in some Danny Boyle movies, like: "28 Days Later"(as Jim) and "Sunshine" (as Robert Capa) as well as in Ron Howard's "In the Heart of the Sea" (as Matthew Joy) and many others. Check out Cillian's IMDb page for more information about this great actor. Cillian stated that portraying Thomas Shelby is one of his thoughest acting jobs. Helen McCrory is equally brilliant as Polly, the matriarch of the Shelby Family. She is a well known and much acclaimed English actress and she played some great roles in numerous series and movies. I will try to point out some of them. Most of you may know her from her role as Narcissa Malfoy in the final three "Harry Potter" movies. Fun Fact: Originally Helen was cast for the role of Bellatrix, but she had to pull out because of her pregnancy. She also played in some movies and series about the British Royal Family. In "The Queen" and " The Special Relationship" she plays the role of Cherie Blair (the wife of former PM Tony Blair). She also played Queen Elizabeth I in "Bill". Furthermore Helen starred as Mama Jeanne in Scorcese's "Hugo" and as Claire Dowar a Member of the British Parliament. She also played Madame Kali in 12 episodes of the popular series " Penny Dreadful" and Emma Banville in the British crime series "Fearless" . 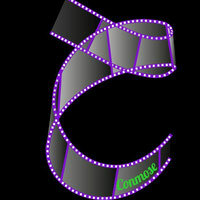 For more information check out IMDb. Although he isn't one of the main characters in "Peaky Blinders", he is one of the best actors out there at the moment and one of my personal favorites: Tom Hardy. He plays the role of the Jewish gang leader Alfie Solomons (entering in Season 2). For those of you who don't know Tom Hardy (shame on you), he played the memorable role of bad guy Bane in "The Dark Knight Rises". But that's not all he has done. Hardy made his motion picture debut in "Black Hawk Down" (as Lance Twombly), a brilliant 2001 war movie directed by Ridley Scott. He also played in movies, like: "Star Trek: Nemesis" (as Shinzon), "Sucker Punch" (as Rodders), "RocknRolla" (as Handsome Bob), "Inception" (as Eames), "Tinker, Tailor, Soldier, Spy" (as Ricki Tarr), "Warrior" (as Tommy Riordan Conlon), "Mad Max:Fury Road" (as Max Rockatansky), "Legend" (as both of the Kray Brothers), "The Revenant" (as John Fitzgerald) and "Dunkirk" (as Farrier). He is set to play Eddie Brock/Venom in the 2018 live-action movie "Venom". 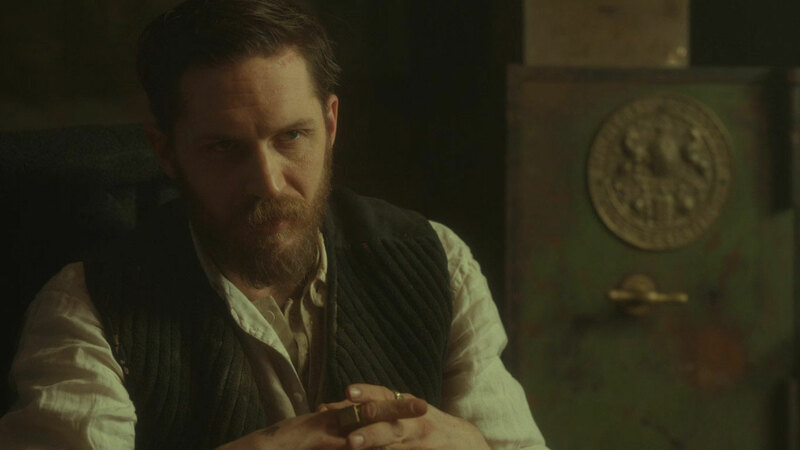 On television Tom has played John Janovec in 3 episodes of HBO's "Band of Brothers" and James Delany in "Taboo" (he also co-created and produced on this one). 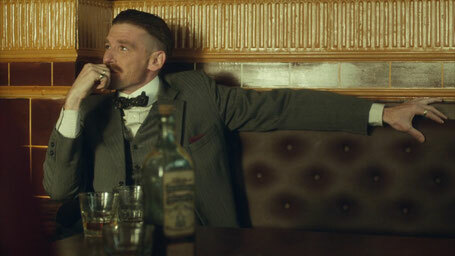 The hot-headed Arthur Shelby is portrayed by English actor Paul Anderson. Arthur's life is an emotional rollercoaster and he can snap at any moment. Anderson does a very convincing job on portraying these different sides of the character. Although he made his big breakthrough with his role in " Peaky Blinders", he is known for some other roles, like the role of Colonal Sebastian Moran in "Sherlock Holmes: a Game of Shadows". He also played alongside Tom Hardy in "Legend" as Albert Donoghue and in "The Revenant" as Anderson. He also played alongside Cillian Murphy in "In the Heart of the Sea" as Caleb Chappel. Anderson also played Frank in "Brimstone". I'll point out one more actor, just because he plays in one of my favorite movies of all times: "Jurassic Park". I am of course talking about Sam Neill. At first there was some criticism about his Northern Irish accent, but in my opinion he does a good job. Recently I found out that Neill was actually born in Northern Ireland, but he moved to New Zealand at a very young age. He says he was coached by Liam Neeson and James Nesbitt and to blame them if the accent is wrong. Like I already mentioned, Sam Neill is mostly known for his role as Dr. Alan Grant in Steven Spielberg's masterpiece "Jurassic Park". He reprised this role in the third installment of the franchise. But he starred in a lot of other movies and tv series. Apart from his role as Alan Grant, Neill is also known for his role as Alisdair Stewart in " The Piano". Furthermore Sam Neill starred in movies, like: "The Hunt for the Red October" (as Captain Vasily Borodin), "Event Horizon" (as Dr. William Weir), "The Horse Whisperer" (as Robert MacLean), "The Zookeeper" (as Ludovic) and he also got nominated for an Emmy and a Golden Globe for his role of Merlin in the miniseries "Merlin". I always find it hard to say who will like something. Because sometimes, something you think you won't like turns out to be great fun to watch (for me this was the case with: "The Vampire Diaries" and "Pretty Little Liars"). But I think that it is safe to say that if you like "The Godfather" , "Ripper Street", "Boardwalk Empire", "Lillyhammer", "Taboo" or "The Godfather", you will probably like "Peaky Blinders". 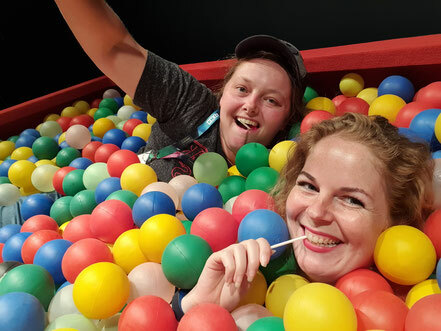 Season 4 is set to premiere in October and filming for season 5 is taking place. Each of the other three seasons contained 6 episodes, so there are 18 episodes to watch at the moment.